It’s perfect, from the setting to the cut and clarity — this ring was made JUST FOR HER. It will forever symbolize the love that you two share, so it’s only right to consider all possibilities. After all, anything can happen. Of course, when it comes to the cost of insuring your engagement ring, the price will vary depending on multiple factors, such as your insurance company and exactly what kind of coverage you will be receiving. But just remember, with everything that you truly value, securing its future is important. Insuring your future bride-to-be’s ring will give her the confidence in wearing this ring. APPRAISALS: This should make the top of your list when purchasing anything of value. An appraisal is a written assessment that will assign a value to your entire ring. This will consider everything from the diamond to the metal band. COST: On average, the cost to insure your ring is $1–$2 for every $100 that it costs to replace. For example, if your ring will cost $5,000 to replace, you should expect to pay between $50–$100 a year to insure it. Rates vary upon the city and insurer. Is the ring covered if lost — or only if stolen? What if the ring is vintage? How would that be covered? Will I have to replace the ring by purchasing through a specific jeweler? Will they cover the full cost or just a fraction? What kind of proof will I need to show if it vanishes in order to make the claim? Are there any circumstances where the ring will not be covered? If so, what are those circumstances? To insure or not to insure; it’s a choice that YOU have to make. 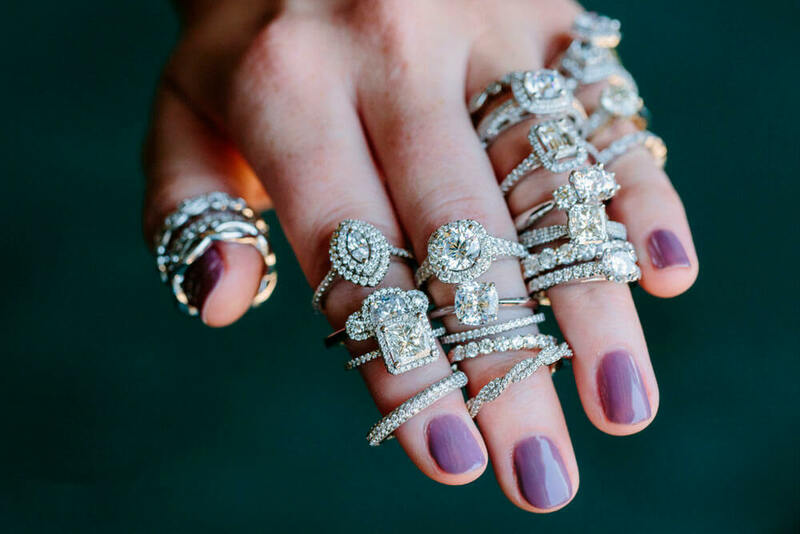 We hope that this makes your decision that much easier, and if you’re still in the process of searching for the perfect ring, be sure to visit us at Jewelers Trade Shop. We would love to help you find the perfect ring to pop the question.